Legislative leaders announced both houses of the legislature will be on the floor in January. The Senate plans to hold votes on Tuesday, January 23. The Assembly will meet on Tuesday, January 16 and Tuesday, January 23. While neither house has released agendas, Assembly Speaker Robin Vos (R – Rochester) provided insight on which bills the Assembly won’t take up during this session. Speaking to reporters in December, Vos said his house in unlikely to take up several high profile bills including the “right to carry” bill, a bill that bans the use of aborted fetal tissue, and a bill to include a medical services fee schedule in the state worker’s compensation program. Vos did, however, tell reporters it is a priority to pass a number of bills developed by the Speaker’s Task Force on Foster Care. In total, the task force introduced 13 bills to improve the state’s foster care system. Senate Majority Leader Scott Fitzgerald has not provided similar public comment on the Senate’s legislative priorities for the upcoming dates. 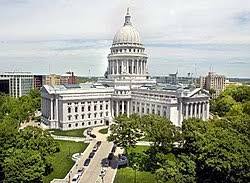 Additionally, Governor Scott Walker will give his annual State of the State address to a joint session of the legislature on Wednesday, January 24. It is expected the Governor will use the opportunity to highlight accomplishments as well as set an agenda heading into his reelection campaign this year.